The new Porsche 911 GT3. The drivers car, the track monster, is nowlimited to a PDK. Don't get me wrong, the PDK is one of the best autos ever, but it still isn't a manual. Although Porsche would be happy to offer one, there is no market. Everyone who dreams about these exotic cars wants the driving pleasure of a gear stick and a clutch, but the people who buy them don't. The same problem goes for Ferrari, Lamborghini, Pagani, Maserati, and even Aston Martin to some extent. Sure there are some exceptions; occasionally you will see a manual California or Gallardo but rarely. Of course there are downsides to the manual. For example, driving in slow traffic or driving slowly at all. Also, there is those times where you just want to get home and don't feel like shifting. 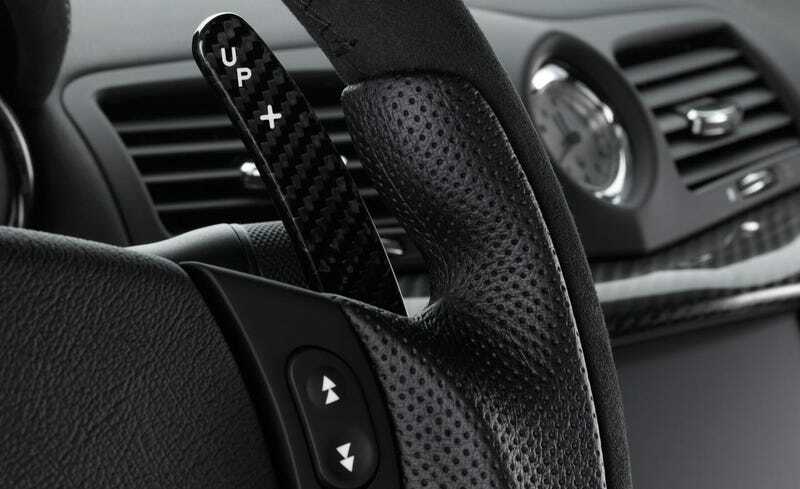 Now lets cut to the chase and propose my idea: There is a manual shifter just like a normal car. However instead of the shifter going to the transmission we have it triggering switches in each gear. Here is an example of what I mean using my homemade shifter for Forza 4. As you can see each gear is selected by a switch. Each switch tells the transmission what gear to select. As for the clutch I was thinking using a F1 style gearbox where there is a clutch yet it can use it automatically, however when put into manual mode the hydraulic pump and valves working the clutch deactivate, giving you full control over the clutch. Then to put it into auto you would use Aston style dash mounted buttons and it will reactivate the pump and valves.